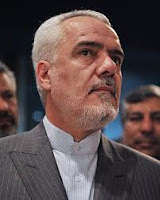 MUSCAT — Iran’s First Vice-President Dr Mohammed Reza Rahimi said yesterday that his talks with His Majesty Sultan Qaboos dealt with supplying the Sultanate with Iranian gas, both for industrial and household uses. Speaking at a press conference here, Dr Rahimi said the talks were fruitful and focused on co-operation to achieve the common interests of both countries. He said he held two sessions of talks with His Majesty to discuss co-operation in economic, commercial and other fields. Dr Rahimi added that the talks also dealt with the passage of goods via Omani and Iranian seaports towards East Asian and Central Asian states. He reaffirmed that the first step for co-operation in this field was established and that emphasis was laid on the activation of important agreements that the two countries had signed long ago.